Originally built in late 1984, the SPIRIT OF FALMOUTH was used by youth groups under supervision to take disadvantaged children and young adults on sailing trips. In 1994 she changed names from SPIRIT OF MERSEYSIDE to SPIRIT OF SCOTLAND. Through these transitions she has covered many trips around the British Isles. As SPIRIT OF SCOTLAND she was used to take children from inner cities on outdoor pursuits until 2002 when she became SPIRIT OF FAIRBRIDGE where she again had a role of taking disadvantaged youths on excursions around the British Isles. 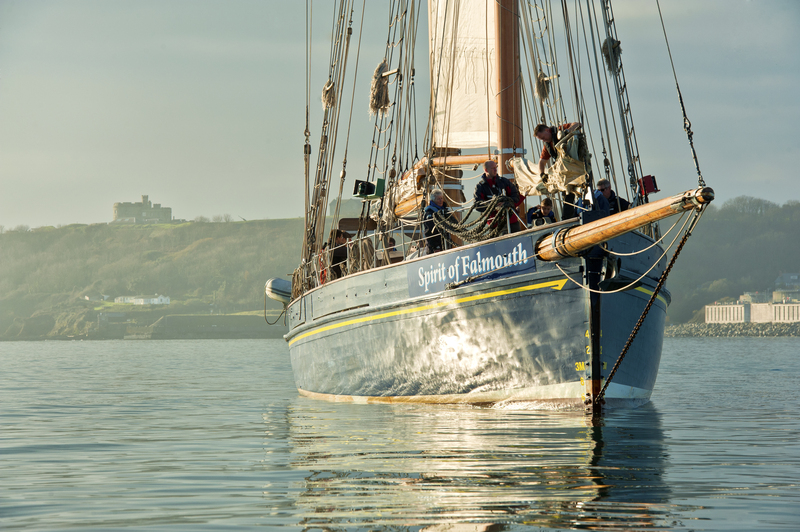 As of late 2014 the boat was renamed the SPIRIT OF FALMOUTH and was donated to the charity "Turn to Starboard" where she currently resides. In June 2016 she will be undertaking a round Britain challenge taking a number of different groups of injured service persons on a 2 month trip as sea. She has recently been visited by HRH Princess Anne who gave her blessing for the upcoming voyage. Build year. Christened as SPIRIT OF MERSEYSIDE. Changed name to SPIRIT OF SCOTLAND. Changed name to SPIRIT OF FAIRBRIDGE. Renamed as SPIRIT OF FALMOUTH. Donated to the charity "Turn to Starboard" where she currently resides.